If you’re visiting Finland, you should definitely set some time aside to visit Helsinki – even if just for one day. There’s plenty to see and do during a day in Helsinki, from food to shopping and sight-seeing. 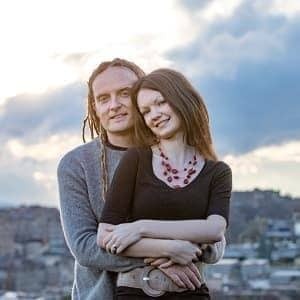 I’ve visited on a number of occasions, both in summer and winter, and here’s what I recommend you do if you visit Helsinki for one day. This guide goes through some of the highlights of Helsinki that you could easily visit in a day. 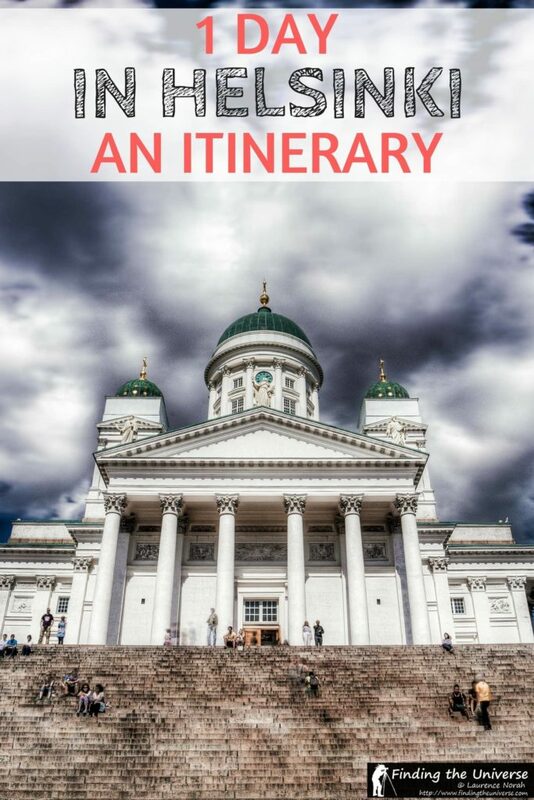 We also have some more suggested Helsinki itineraries in our Helsinki card review. Helsinki has two cathedrals. The first is the big white one in the middle of town (top picture in this post), simply known as Helsinki Cathedral – this is the Finnish Evangelical Lutheran Cathedral, representing the main faith in Finland. There’s a huge square here, as well as a nice pile of steps that you can sit on and people-watch from. The other cathedral I’d recommend taking a look at is the Eastern Orthodox Uspenski Cathedral. 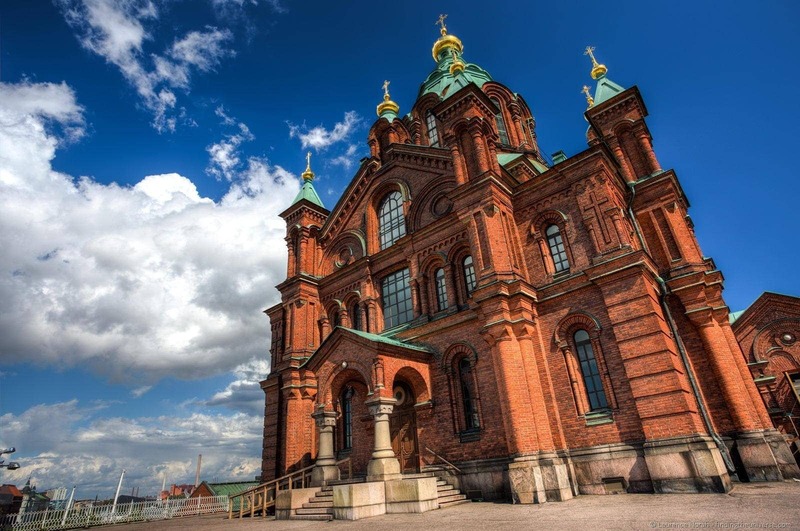 This impressive red brick building with gold domes is just a few minutes walk from the other cathedral, and sits impressively atop a hill. Both cathedrals are free to enter, and differ enough to make them both worth the visit. Ok, it all seems a bit religious so far! Fear not, we’ll move on to other attractions shortly. 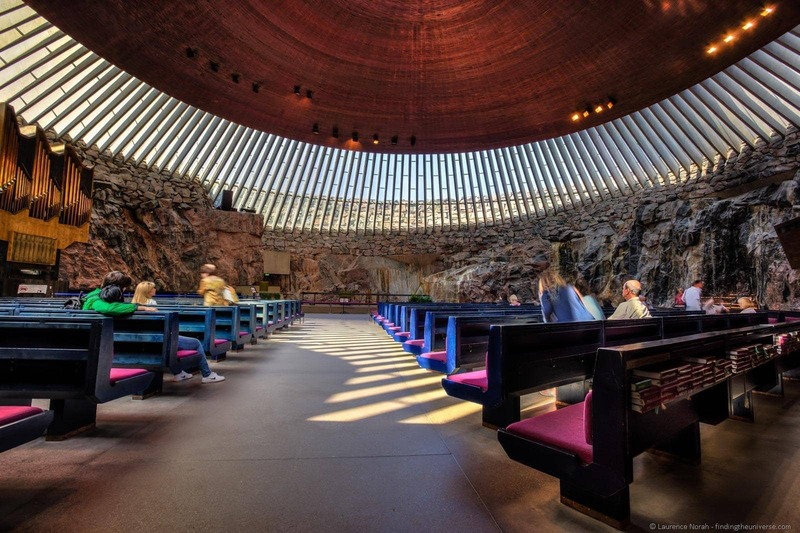 But the Church of the Rock, (officially called Temppeliaukio Church) is worth visiting even if you’re a pastafarian. Built (you’ve guessed it!) into the rocks, from the outside the church looks like a UFO has taken up residence in downtown Helsinki. Inside, there is a beautiful harmony of carved out rock and design, with the interior naturally lit by huge skylight windows which circle the copper ceiling. It’s impressive stuff! You know how I always like to get to the top of somewhere in a city to help orientate myself? No? Well, I do. Don’t worry, you have plenty of time to read the other posts on this blog where I go up things. In Helsinki, the best place to get a view of the city, even if it is a little way north of the city centre, is the Olympic Stadium, where there’s a giant tower, from which you get a gorgeous view of the city and surrounds. It costs a few Euros to get up the tower, although that does include the elevator ride, which will save your legs. Speaking of saving, if you take the hop-on hop-off bus tour of Helsinki you get discounted access to this (and many other!) attractions, although given the size of Helsinki, it’s only worth the investment if you’re really in a rush to see as much as possible in as short a time as possible. Or if it’s raining. Before I visited Finland, I had no idea how much of an island nation this place is. I already shared with you that Finland is home to the worlds largest island archipelago, but I also learnt that Helsinki itself is an archipelago of 330 islands! The islands can be reached easily by ferry, allowing you to explore at your leisure, or if you are pressed for time, you can take a guided tour of the waterways. I took the latter option, taking a boat tour which lasted around two hours. This featured an audio commentary and lots of information about everything I was seeing. Plus the boat had free Wi-fi as well as a bar, although sadly that wasn’t free. Still, it was a wonderful way to get a feel for the layout of the Helsinki surrounds, and I can very much recommend it. 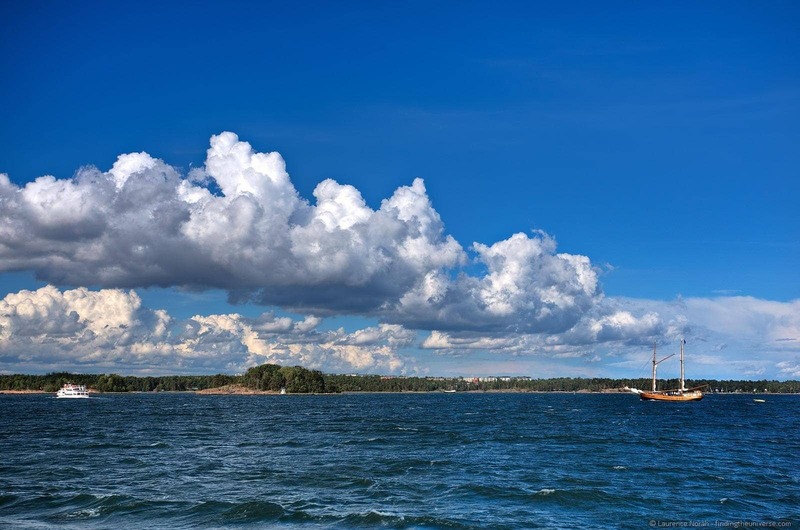 Another option is to visit the six islands that make up the Suomenlinna Fortress. This is a UNESCO world heritage site and one of Helsinki’s top attractions, so do try and fit this in to your day if you can! 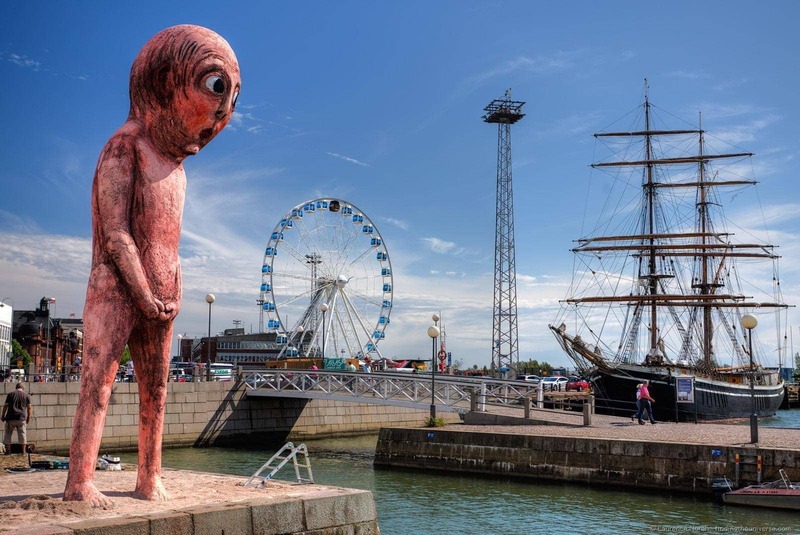 The harbour area of Helsinki is a buzzing place to be, with bars and coffee shops galore, not to mention a fairly permanent market (see where to eat a little further down) where you can pick up souvenirs and the like, if that’s what you’re into. Whilst I was there I saw all sorts going on, from salsa classes to people just enjoying the unseasonably warm weather by swimming in the sea. That all seemed like a lot of work though, so I just wandered around with my camera, trying out coffee shops and taking pictures of interesting looking boats and art installations. Which I think I succeeded at. Bar 9 – this was a great value find, serving up big plates of food for around €9 – €14 a go (a bargain by Finnish standards!). The pasta options were particularly good, although I have to admit that the noodles weren’t quite as exciting as they sounded. The street food – I know, Helsinki doesn’t exactly have a rep for being a street food capital. But when I visited, I discovered that the street food scene was alive and kicking, serving up local specialties and treats from around the world. I generally ended up with some variation on reindeer or salmon, but you’ll find most cuisines are covered. 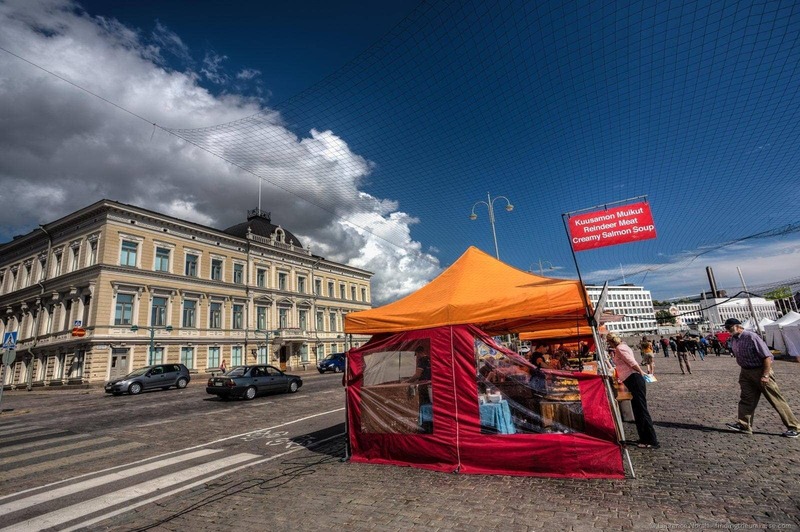 Check out the Street Helsinki Facebook Page for the latest happenings, or head down to the market square by the harbour (Kauppatori) at lunch time for street food most of the year. For more eating options, check out this Like A Local Guide to eating in Helsinki for ideas, as well as TripAdvisor’s listings for Helsinki eateries. 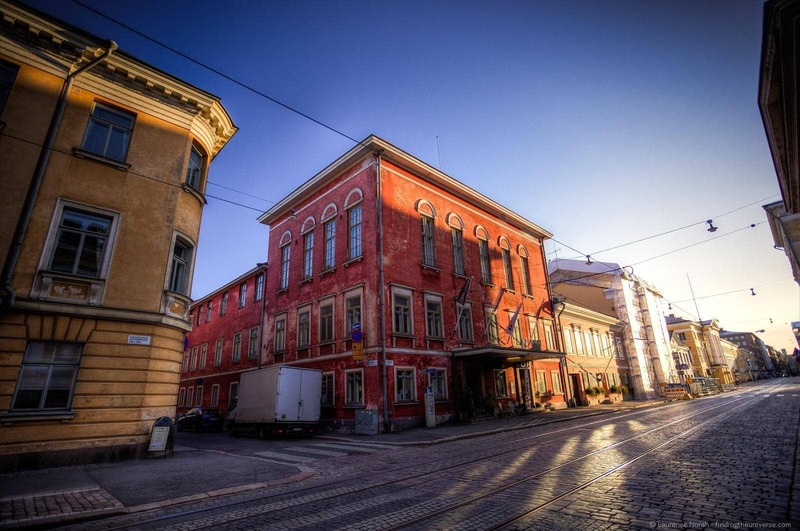 Like the rest of Scandinavia, Finland isn’t exactly a bargain hunter’s paradise, although there are some great value options in the mid-range, and it’s certainly comparable to other capital cities in Western Europe. Check here for a a selection of options for your Helsinki trip. 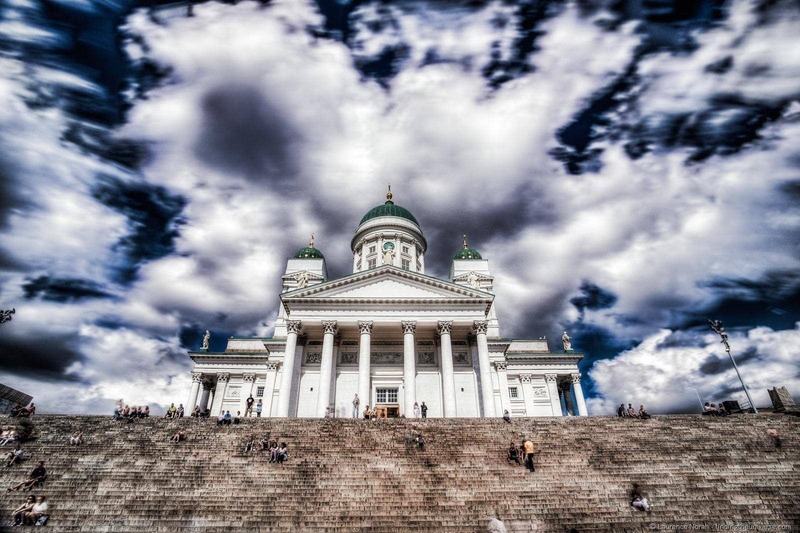 Helsinki can be quite an expensive city to visit, so any way of saving money is a good thing! We’re big fans of city sightseeing passes – if you plan on visiting a lot of attractions, these can often save you money. The Helsinki Card is an excellent value sight-seeing card which gets you in over 28 attractions in the city, plus it includes a free travelcard to help you get around. Definitely one to check out to see if it could save you money on your visit. Get yours on the official site here. We also have some more cities and towns for you to read about. Check out our guide to visiting Rauma in winter, and our guide to visiting Oulu in winter for inspiration for your Finland trip. The official Helsinki Tourism website, which has lots of information on what to do as well as upcoming events and festivals. And that pretty much sums up our thoughts on spending one day in Helsinki! If you have any more recommendations for what to do or where to eat in Helsinki, let us know in the comments below! 7 to 4 p m. Your day trip suggestions are fine. How far city centre from harbour? September it is starting to get a bit coolder in Helsinki, with temperatures from around 10 – 20 degrees Centigrade, so dress accordingly – layers are the best option. 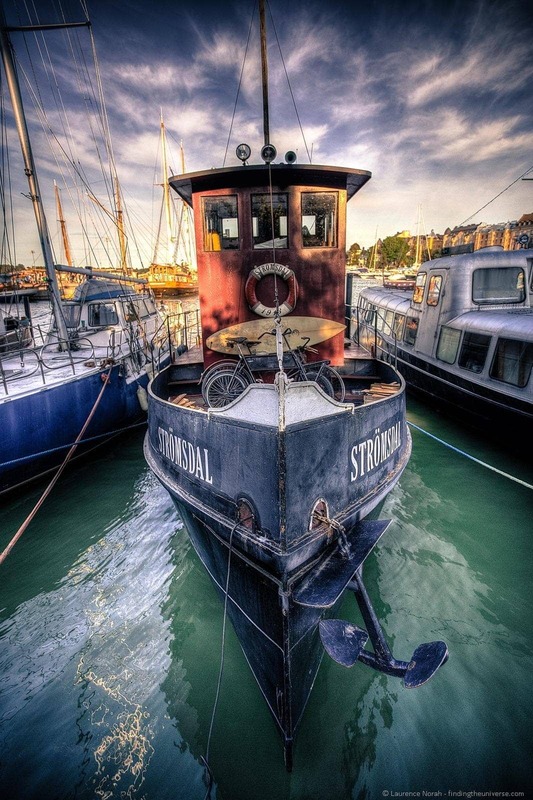 The harbour is an easy walk from the city centre, no more than 10 to 15 minutes. Have a great trip!